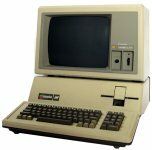 Designed as a business machine, the Apple III was not a commercial success largely because of unreliability due to overheating. 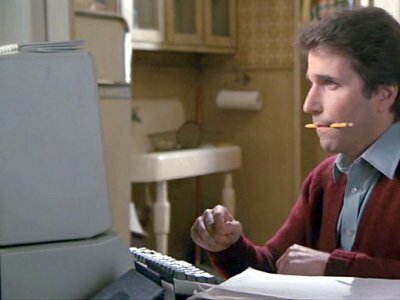 Flynn uses his Apple III to connect to Encom and run the CLU program that he hopes will uncover evidence of Dillinger's crimes. The Apple is running as a remote terminal - well within its capabilities. 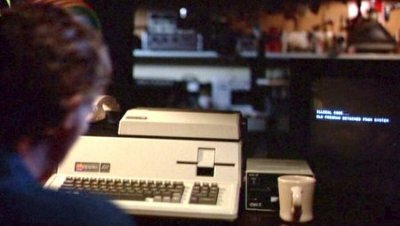 Laura occasionally uses her Apple III in the Remington Steele offices. 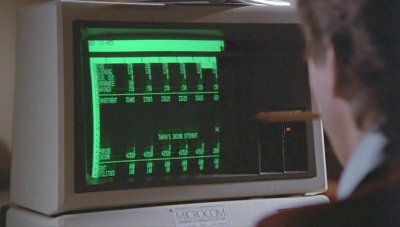 Chuck, the morgue night attendant, uses Visicalc on an Apple III to keep his girls' finances in order. Apple IIIs appear sparingly in the Apple offices.